Sydney Branding Services specialises in creating appropriate graphic design to fulfil your business requirements. Whether it's a simple logo or a complete branding strategy Sydney Branding Services will create innovative solutions. We serve clients in Sydney, New South Wales with branding capabilities and creative design. We supply comprehensive written quotes for all aspects of the design and production process. There are no hidden fees. 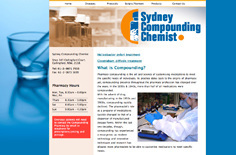 Sydney Branding Services creates and manages websites that work. Our portfolio encompasses small, simple and elegant websites, self-managed websites built on easy-to-use contact management systems (CMS), and sites with significant functionality, including membership portals, e-commerce, social media integration and newsletter functions. Our websites are designed to appeal to your target audience and search engines. All website designs include search engine research and on-page optimisation – so when your new site goes live, it has the best possible chance of being found for relevant search terms. Our integrated approach means your website fits seamlessly with your marketing strategy and branding. Sydney Branding Services specialise in delivering easy-to-use CMS websites which can be easily updated and maintained by non technical personnel. We deliver the finished website and then we spend time with our clients in face-to-face training in all aspects of page creation and editing. We recommend that our clients integrate our branded email marketing tool with their website to leverage maximum opportunity from their client database. Below are links to some of the sites we have designed. Many of these are part of a comprehensive branding and marketing campaign. SmokeBusters are dedicated fire safety systems and equipment maintenance specialists, based in Sydney and independently Australian owned and operated. SmokeBusters also supply and install all fire safety systems including sprinkler systems, hose reels, portable fire extinguishers and smoke detector systems. Sydney Branding Services designed the Smokebusters logo and Built an easy to use CMS website that they can update themselves. A companion site to The Centre for Digestive Diseases that gives information on Human Probiotic Infusions (HPI). A re-design of a medical information website for those considering vasectomy reversal and fertility advice. 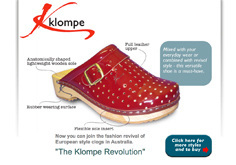 On-line store selling the latest European styles. Includes and e-commerce hosting and shopping cart facility. A pharmacy with the exclusive rights to formulations patented by CDD. Patients can obtain information and purchase through the site. Doctors can generate prescriptions. Tasman Tank’s have designed and installed quality tanks at competitive prices in Australia and overseas for over 20 years. In conjunction with the website Eyelight developed a set of marketing brochures to specific market segments. A site that promotes mindfulness training workshops. And being who we are, right now, in this moment. A directory site that lists yoga teachers and yoga schools Australia wide. Including a forum for yoga discussions. Breast Everything you wanted to know about cosmetic breast surgery but were afraid to ask. This informative magazine styled site leads you through the decisions that women considering surgery. Giaconda develop and license innovative and cost effective medical therapies that provide extended survival and relief for patients suffering from serious GI diseases and disorders. Shape offers the most advanced cosmetic surgical and non-surgical treatments available in a relaxed, private and spa-like surroundings, a place where you can feel completely at ease and safe. Click here for the full story. An overhaul of a legacy site that is now a CMS site linked to an online booking system. Headed by Dr Mark Edinburg the Eden Institute of Plastic and Cosmetic Surgery combines the science of medicine with the art of contouring. Eyelight supplied the image upgrade to a legacy site that reflects a newly developed business branding. This pet portal with advanced client editing functionality allows content to be generated from multiple sources, submitted and managed from any remote location. It can accept media in a variety of formats, including text, photos and video.